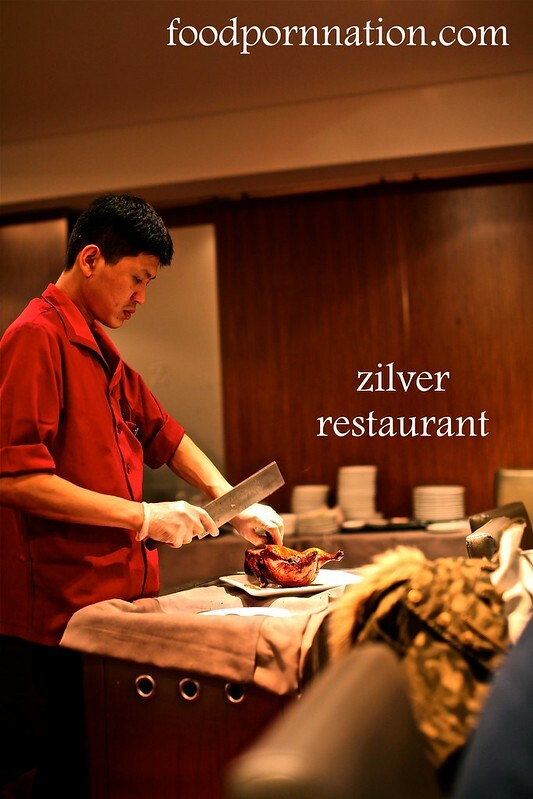 Some say that Zilver is their ‘go to’ yum cha spot and that it is one of the better Chinese restaurants around. I haven’t really been there myself so I took advantage of one of the Groupon Vouchers on offer. 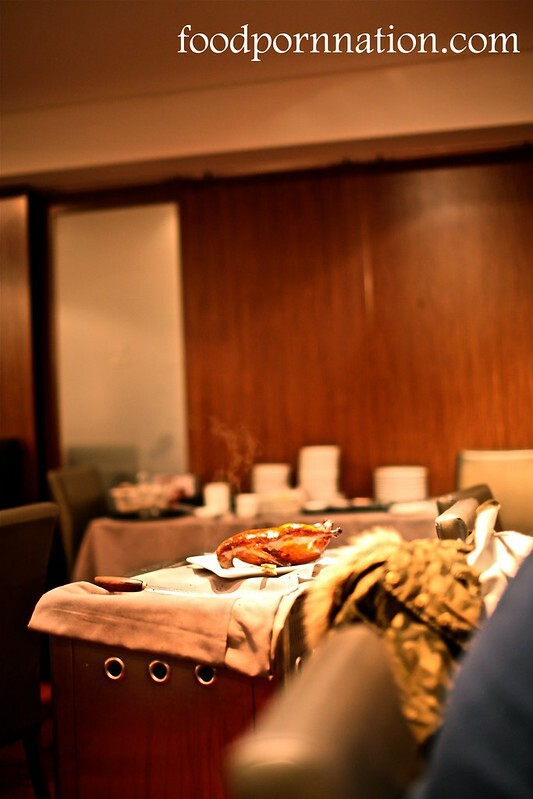 $49 for 2 people for a 6 Course Peking Duck Banquet. Yippie-kai-aye! I used to be a bit dubious about the online voucher experience. Over time, I’ve become more comfortable. Bloggers alike seem to swear by Groupon for being the best place to grab a food voucher for decent restaurants. For hatted restaurants too. Now, all I do is click, click, click. Buy, buy, buy… and if I can eat at the likes of Tokonoma, Foveaux & Blancharu, why the hell shouldn’t I? 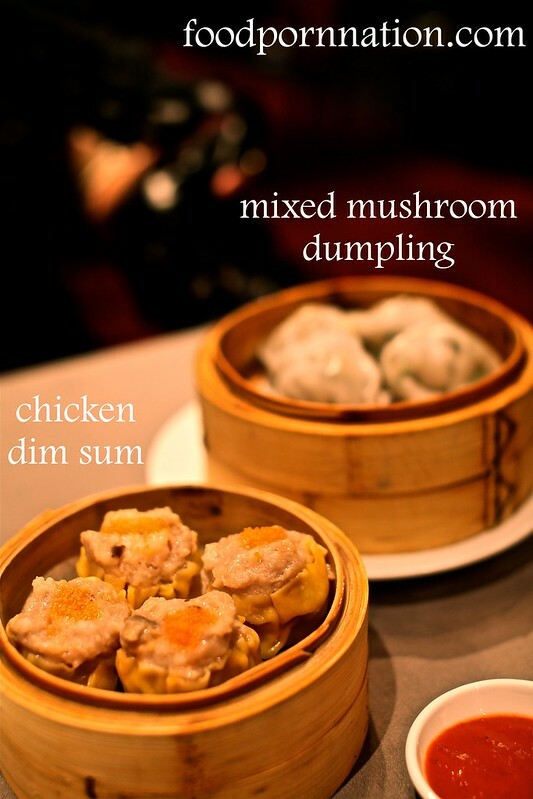 These beautiful beauties (chicken dim sum) arrive plushing and plump, filled with meat and flavour. So delicious, I want to go the full hog and do a yum cha run. Wrapped up in a delicious translucent dumpling parcels were pieces of mixed mushroom slices. Not as flavoursome as the first but still good. Our Peking duck letting off steam. Watching the spectacle of Peking duck unfold is always something that makes my eyes pop out of my eye sockets. I love how it is presented to you for some serious eye candy. Then the skin is sliced away, leaving only the meat on the carcass. You feel a bit pervy watching the whole experience transpire but it is just so hard not to be! 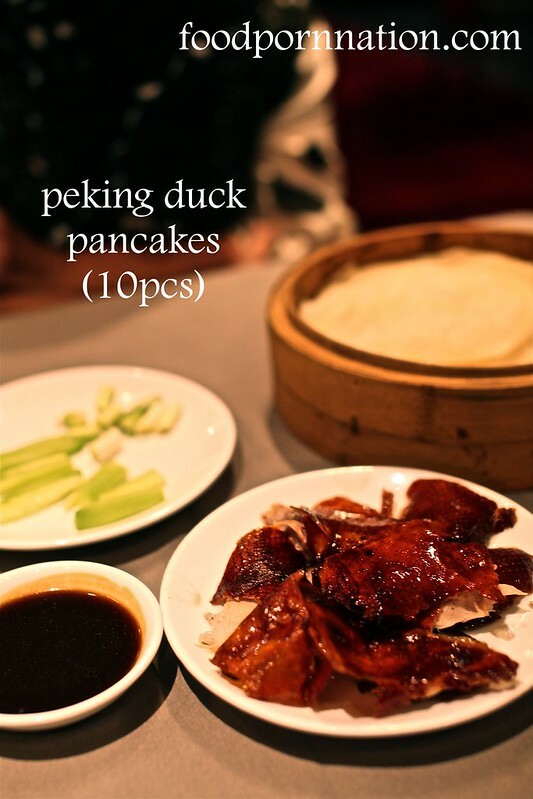 Served in full view, these Peking duck pancakes were really tasty. The duck was unctuous, warm and crisp while the pancakes were hot to the touch coming straight from the steamer. 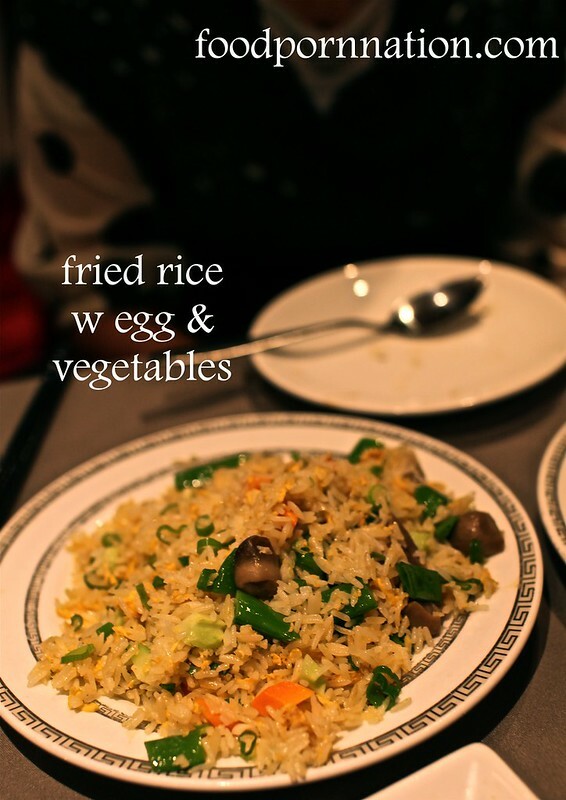 The fried rice was subtle in flavour and simple, served with eggs, mushrooms, onions and shallots. 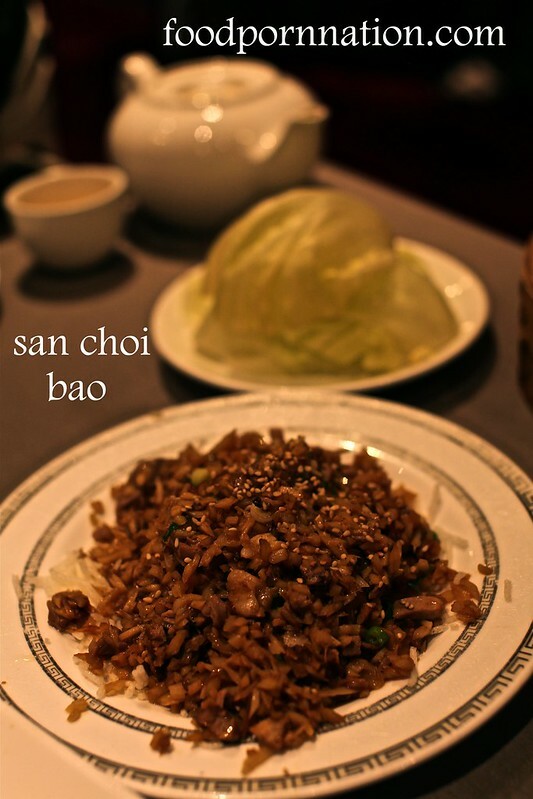 The san choi bao wasn’t the best I’ve had but it still had the traditional taste and texture you would expect. We gave it a good skinning so it isn’t the best looking duck by the time it reached our plates but it does taste better than it looks! The dipping sauce was slightly salty but this was easy to avoid. Normally, you wouldn’t get the rest of the duck like this so I am definitely pleased to seeing and eating the rest of it. 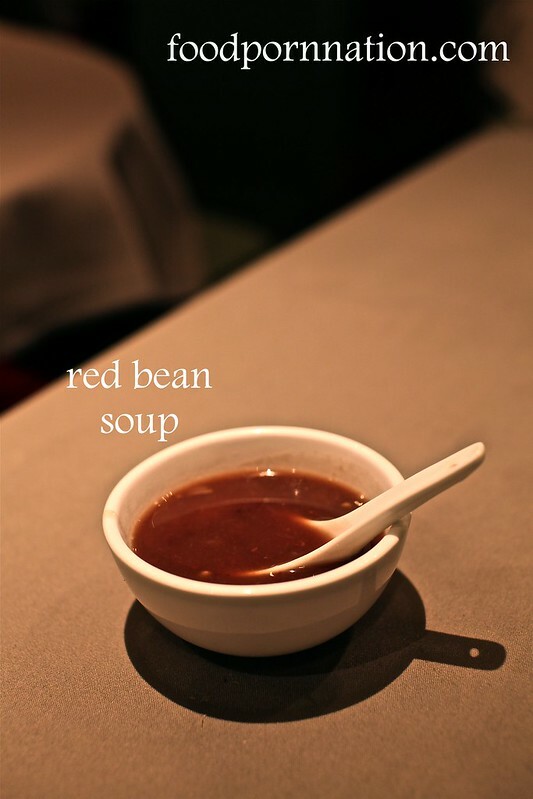 The red bean soup is sweet in flavour and grainy in texture, served nice and hot. It is not typically my kind of dessert but it does have a special place in my heart, taking me back to those long winded Chinese banquets with my family. Our meal was incredible value. The servings were generous, food tasty and I even got a whole duck! Going through the Groupon experience was pretty straight forward, just as long as you read the fine print the process should be cinch! What a great way to sample some of the restaurants out there. This meal was sponsored by Groupon Australia. Now that’s a bargain. Love the look of that duck skin.. oh so drool worthy! Almost a steal! They have a yum cha voucher on at the moment too. 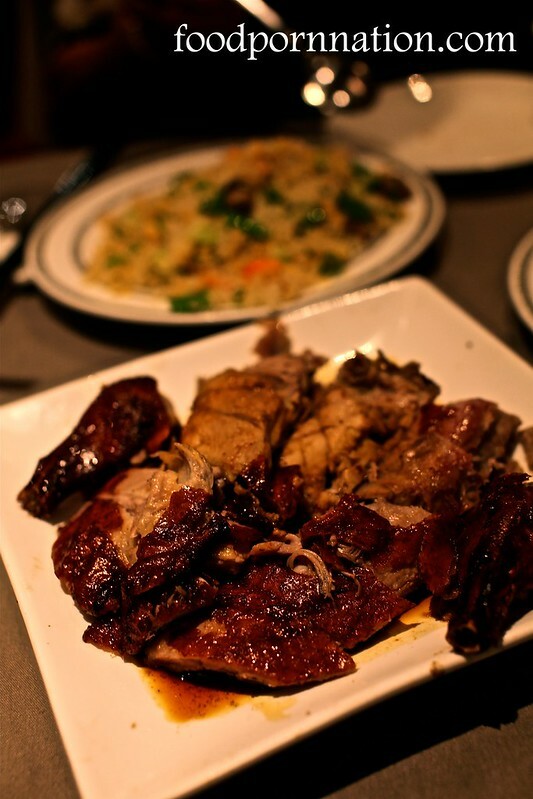 Possibly some of the best Peking Duck in Sydney that I’ve had! I know it was great value and itmight pop again! There’s a yum cha voucher on at the moment $19 per person! Me too! and me gots me a whole duck!! I’ve only ever heard about how great this place is. I really need to go! It is the same owners as Eight, which you really enjoyed. So I definitely think it will have your tick of approval. I’ve done a spreets yum cha deal here and it was pretty good! I hope this groupon deal comes back again! guys from work go to this and I’ve yet to but they don’t seem to have issues with it. This is probably the only yumcha place in the city I haven’t been to. Groupon you say. Looks good – love yumcha. I gotta try this.